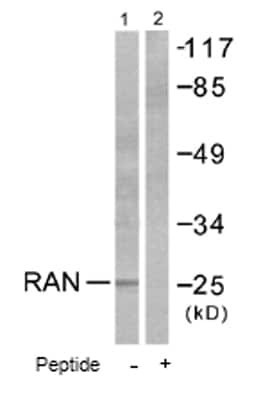 This antibody detects endogenous levels of total Ran protein. Our Abpromise guarantee covers the use of ab53775 in the following tested applications. WB 1/500 - 1/1000. 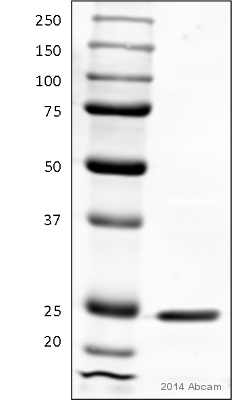 Detects a band of approximately 26 kDa (predicted molecular weight: 26 kDa). 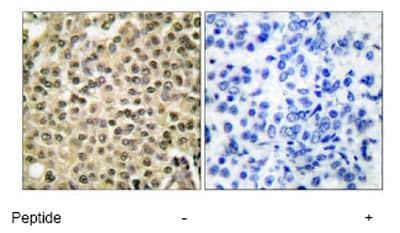 Immunohistochemical analysis of paraffin-embedded human breast carcinoma tissue using ab53775 at a 1/50 dilution. 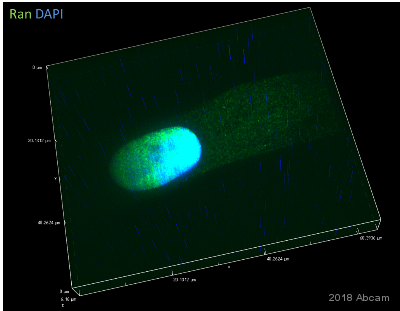 Right image treated with immunizing peptide.